Home – Diana I. Castrillon, P.A. Let Diana Castrillon protect YOUR RIGHTS! Diana Castrillon believes in representing the injured because of an existing need in the community to have a comprehensive solution for individuals who are injured due to the negligence of someone else. Cecere, Santana, P.A. is a family owned and operated law firm with experience practicing law inside the insurance industry—we understand how the insurance companies operate to achieve the best possible results. When you are injured in an accident, your entire family suffers a loss from decreased abilities, medical bills, lost wages, and recovery time. Ms. Castrillon is a wife and mother who understands your loss. As an experienced attorney, she can transform this understanding into a successful outcome on your behalf. 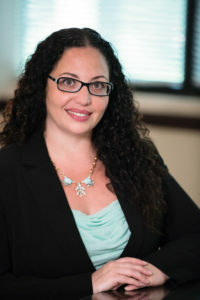 Whether you need a Hollywood, Florida attorney to handle a workers compensation claim, or you live in Davie, Cooper, Miramar or anywhere else in Broward County or South Florida and have been injured in an accident, Diana Castrillon will fight for your rights and make sure you are treated fairly. Our goal is to ensure that you only need to focus on getting well, and we handle everything else. We work on a contingency fee basis; we charge no fees or costs, unless we obtain a financial recovery for you. You have everything to gain when you hire Diana Castrillon to protect your rights. Call us now at (954) 309-5444 and let our family help your family.